Welcome to the North American Martyrs’ Legacy, the personal blog of Elizabeth “Beth” Lynch! For updates on the Shrine under new and refreshing management by the Friends of Our Lady of Martyrs Shrine, go to http://www.auriesvilleshrine.com. From the Saints of Auriesville Museum, which has new exhibits, I continue to share the story of the remarkable Jesuit missionaries who were martyred there, and of St. Kateri Tekakwitha who was among the first fruits of their sacrifice. 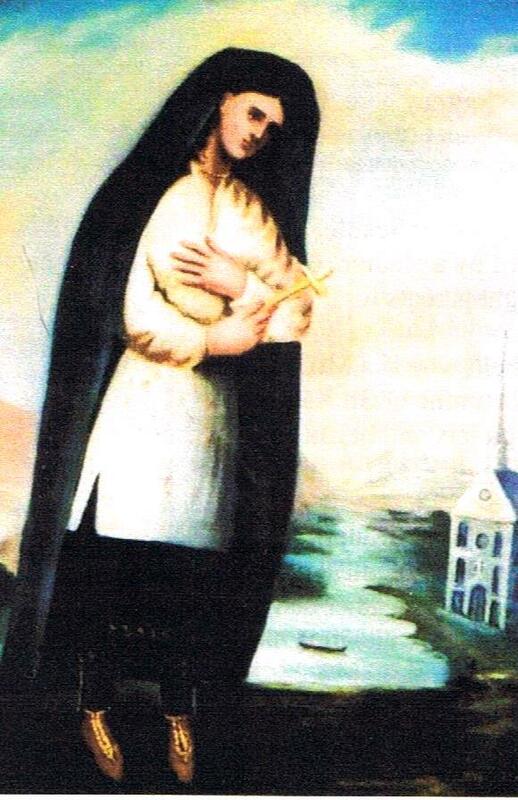 St Kateri Tekakwitha painted in Canada, circa 1680, by her spiritual director Father Claude Chauchetiere, SJ. As the word “legacy” indicates, the witness of the North American Martyrs in the 17th century has left us a spiritual inheritance of zeal, courage, and love — attributes needed for the New Evangelization within the Catholic Church today. You are welcome to contact me at MartyrsLegacy@gmail.com. I am available to speak on a variety of topics for your parish and faith based events and conferences. Beth the blog is awesome and your interviews are really great. You were with 2 of my favorite Priests. Beth, You did a great job in your presentations…Keep up the good work. Beth, it was so good of you to come to the Good News center and speak to us about the Martyrs, it was very interesting and informative!